There are certain moments when, through the whole scope and situation of the larger humanitarian crisis, you can’t help but live in the present with the simple joy of making and building human relationships across supposed divides. We can learn a lot from those that are perceived to be different. There is nothing more illuminating than the respectful sharing of cultures. Though everything has been forcibly taken away from them, the Syrian families that make up the refugee population of Izmir continue to hold an incredible resilience and the most amazingly hospitable nature. 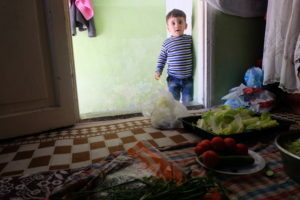 Every Sunday, Refugee Volunteers of Izmir (ReVi) invites two or three Syrian families to cook a big dinner for volunteers. 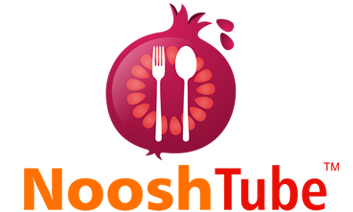 The volunteers fund the dinners and provide extra cooking stoves for each of the families. This ritual falls right in line with ReVi’s philosophy of creating a community environment within which fleeing families can look to rebuild their lives and gain some semblance of normality. I joined one of the families earlier in the day before the latest Sunday dinner, as they invited a few of us to help cook the last few dishes of the meal. This didn’t constitute much – we prepared the side salads while playing with the kids, keeping the baby boy smiling and using the best of our sign language to communicate with the family members. 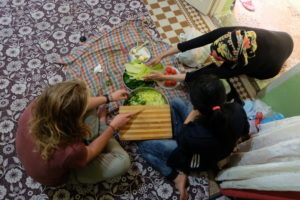 Once the other volunteers arrived, settling down cross-legged on cushions lining the walls in our hosts’ small, humble home, the family filled the middle of the room with an astonishing array of traditional Syrian dishes. We shared everything, dipping and reaching across each other as the conversation and good will flowed amongst us. By the time we all ate to our heart’s content, there still seemed to be enough to feed the rest of the neighborhood. Once again, we were amazed by the genuinely open and welcoming nature of people who have had their entire lives turned upside down. They hold nothing but give everything. This evening was about more than a dinner party: it was about creating connections, building relationships, crossing divides and displaying a love and unity that is so often missing in our daily interactions, wherever we may be. As we walked away from the house at the end of the evening, while the kids chased us down for one last hug, the resilience and hospitable nature of these families shone through once again. It is humbling to work with such people on a daily basis. 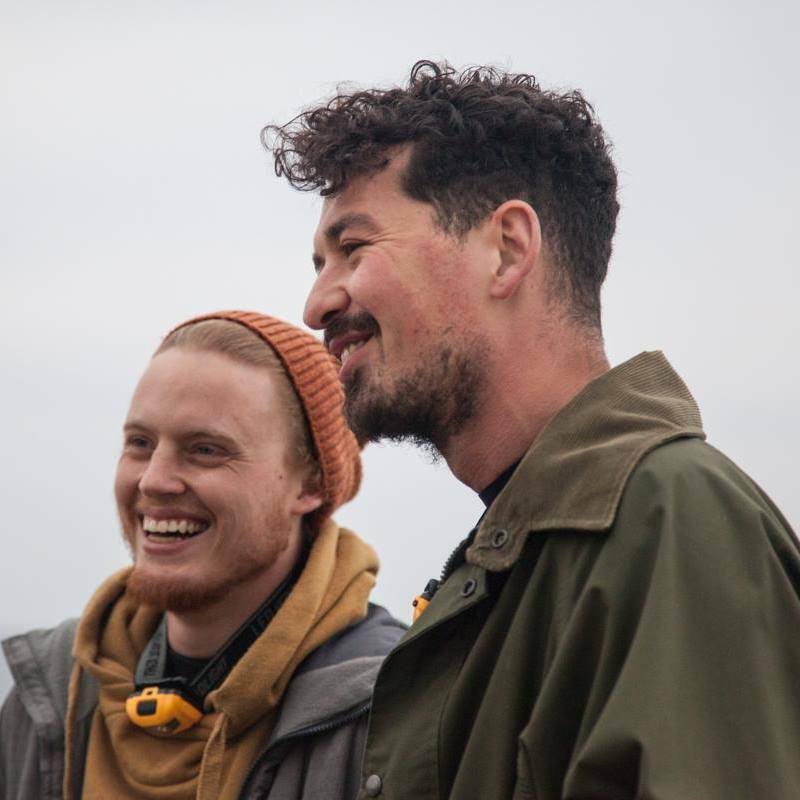 Dan and Sim have spent the last few months representing the Worldwide Tribe in Lesvos, Greece, providing humanitarian solutions and telling personal stories behind the headlines, before moving onto Izmir in Turkey to assist Refugee Volunteers of Izmir (ReVi) in their work.